FOUR Wyre businesses were slammed by council inspectors for their hygiene and and a worrying 67 others were told they needed to improve in the 2016 food hygiene ratings. See full star ratings for Wyre in the links below. Croston Wines, Garstang, Poulton Town FC Clubhouse, Poulton-le-Fylde, and Trinity Baptist Church and retailer Z Witrylak & Sons, both of Fleetwood, received the lowest mark of zero, meaning they needed to make urgent improvements. Some of the businesses told major improvements were required, and given one star, were Apple Store Cafe, Nether Wyresdale, East ‘n’ Spice, Garstang, and Hudsons Farm Fishery, in St Michael’s on Wyre. 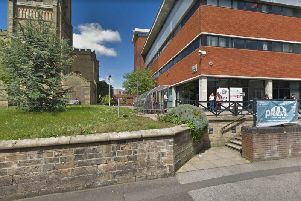 Thirty-two other businesses were also criticised by inspectors and given two stars, but most businesses in the borough received the top marks of five stars, meaning very good hygiene. Bradshaws Farm Shop, in Garstang, Cafe At The Pottery, Pilling, and Ferraris Restaurant in Great Eccleston were just some of many food outlets in Wyre to be given the full five stars by council inspectors. Leader of Wyre Council Coun Peter Gibson said: “It’s a concern that we’re lower than some of the other boroughs because I’ve owned two restaurants in the past and having good hygiene is extremely important. Croston Wines, retailers - other, 97 Croston Road, Garstang, Preston, PR3 1HQ, rated zero on Septemeber 9, 2014. Poulton Town FC Clubhouse, restaurant/cafe/canteen, Cottam Hall Playing Fields, Blackpool Old Road, Poulton-Le-Fylde, FY6 7RH, rated zero on July 28, 2014. Trinity Baptist Church, other catering premises, Poulton Road, Fleetwood, FY7 7AW, rated zero on August 27, 2014. Z Witrylak & Sons, retailers - other, 23 Lord Street, Fleetwood, FY7 6DX, rated zero on November 4, 2014. Apple Store Cafe, restaurant/cafe/canteen, Wyresdale Park, Snowhill Lane, Nether Wyresdale, Preston PR3 1BA, rated one on December 10, 2014. Bandstand Cafe Ltd, restaurant/cafe/canteen, The Market Cafe, Fleetwood Market, Adelaide Street, Fleetwood FY7 6AB, rated one on July 14, 2015. Carole’s Creative Cakes, restaurant/cafe/canteen, Bread Shop, 114 Normoss Road, Normoss, FY3 8QP, rated one on July 14, 2015. Chatsworth Convenience, retailers - other, 110 Chatsworth Avenue, Fleetwood, FY7 8EJ, rated one on November 3, 2015. Cleveleys Convenience Store, retailers - other, 55 Rossall Road, Thornton Cleveleys, FY5 1HG, rated one on July 8, 2015. Cleveleys Ex Servicemans Club, pub/bar/club, 26 Victoria Road West, Thornton Cleveleys, FY5 1BU, rated one on January 21, 2014. Crescent Confectioners, manufacturers/packers, 3 Crescent East, Thornton Cleveleys, FY5 3LJ, rated one on July 22, 2015. Deol Discount Stores, retailers - other, 294 - 296 Poulton Road, Fleetwood, FY7 7LA, rated one on March 3, 2015. East ‘n’ Spice, takeaway/sandwich shop, Oak Grove, 2 Bridge Street, Garstang, Preston PR3 1YB, rated one on October 8, 2015. Fleetwood Fish Bar, restaurant/cafe/canteen, 156 - 160 Lord Street, Fleetwood, FY7 6LH, rated one on February 17, 2016. Garstang Cabs, retailers - other, Hazelhurst Store, 77 Hazelhurst Drive, Garstang, Preston PR3 1NB, rated one on May 18, 2015. Garstang Sports & Social Club, pub/bar/nightclub, High Street, Garstang, PR3 1FA, rated one on March 26, 2015. Golden Wok, takeaway/sandwich shop, 80 Manor Road, Fleetwood, FY7 7HY, rated one on December 2, 2015. Great Fortune Restaurant, restaurant/cafe/canteen, 120 Victoria Road West, Thornton Cleveleys, FY5 3LG, rated one on November 5, 2015. Highcross News, retailers - other, 170-170A Highcross Road, Poulton-Le-Fylde, FY6 8DA, rated one on September 30, 2014. Hudsons Farm Fishery, takeaway/sandwich shop, Hudsons Farm, Rawcliffe Road, St. Michaels-on-Wyre, Preston PR3 0UH, rated one on September 15, 2014. J K News, retailers - other, 133 Victoria Road West, Thornton Cleveleys, FY5 3LA, rated one on September 1, 2014. Jamesons Fish, retailers - other, rated one on March 25, 2014. Lawns Bakery, manufacturers/packers, 91 Manor Road, Fleetwood, FY7 7HY, rated one on November 24, 2015. Lili Italia, takeaway/sandwich shop, 127 Victoria Road West, Thornton Cleveleys, FY5 3LA, rated one on September 30, 2015. Log Cabin Cafe, restaurant/cafe/canteen, Kiosk 11, Princes Way, Fleetwood, FY7 7HU, rated one on March 27, 2015. Milton Youth & Community Centre, restaurant/cafe/canteen, Milton Street, Fleetwood, FY7 6QW, rated one on June 8, 2015. Mister Lees, takeaway/sandwich shop, 2 Broadway, Fleetwood, FY7 7DH, rated one on April 17, 2015. Mr Benny’s, takeaway/sandwich shop, 8A Breck Road, Poulton-Le-Fylde, FY6 7AA, rated one on March 10, 2015. Niceandspicy.Co.Uk, takeaway/sandwich shop, 10 Fox Court, Red Marsh Drive, Thornton Cleveleys, FY5 4GW, rated one on July 21, 2015. Patten Arms, restaurant/cafe/canteen, Park Lane, Winmarleigh, PR3 0JU, rated one on January 8, 2016. Premier, retailers - other, 4 Beach Road, Fleetwood, FY7 8PT, rated one on February 9, 2014. Spar, retailers - other, One Ash, Lancaster Road, Knott End-On-Sea, FY6 0AU, rated one on February 29, 2016. Spencer’s Good Food, mobile caterer, rated one on July 15, 2015. Sunny Deol Ltd, retailers - other, 112 Lord Street, Fleetwood, FY7 6LB, rated one on April 15, 2015. Thornton Cleveleys Sports Club, pub/bar/nightclub, Thornton International Association, Bourne Road, Thornton Cleveleys, FY5 4QA, rated one on May 19, 2014. Willow Farm Meats, retailers - other, 169 Lawsons Road, Thornton Cleveleys, FY5 4PJ, rated one on October 14, 2015. Woodlands Service Station, retailers - other, 132 - 138 Fleetwood Road North, Thornton Cleveleys, FY5 4BL, rated one on November 18, 2013. Wyre Villa Function Room And Bar, pub/bar/nightclub, Wyre Villa Football Club, Hallgate Lane, Stalmine, Poulton-Le-Fylde FY6 0LD, rated one on December 12, 2014. Yum Sing, takeaway/sandwich shop, 101 Victoria Road West, Thornton Cleveleys, FY5 3LD, rated one on July 8, 2015. Ratings taken from the Food Standards Agency’s website and are accurate from April 6.